The beautiful pattern on this cat's coat is the result of the Tortoiseshell gene. The washed out effect of the coat is the result of the "dilute" gene which affects the coat color and not the pattern. 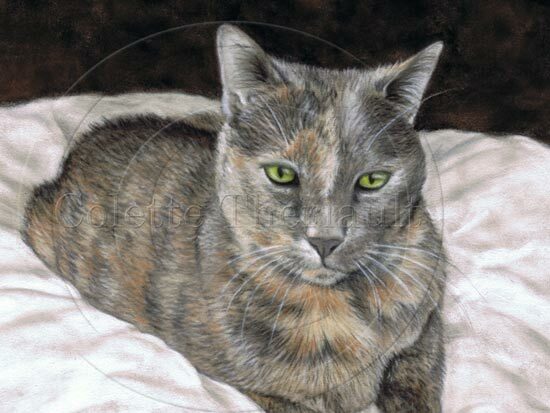 This cat portrait was commissioned as a memorial gift by a client in Bronx, NY, USA .